Wossner High Performance Pistons & ZRP connecting rods & crankshafts. We are UK distributors for Wossner high performance forged pistons, cylinder liners and con-rods. Their products are to be found in engines operating at the highest levels of motor sport, in competition and, of course, in everyday use – in fact, anywhere where longevity and performance are important factors. Wossner pistons are to be found operating in the highest levels of motorsport including the German touring car championship.They develop, build and produce top quality pistons for both important international engine manufacturers and individual customers active within motor sport. Inside their fully air-conditioned, 2500 Square meter machine shop, 2 of the latest CNC controlled machines guarantee a quality and precision down to the micro level. Our aim is to hold as many products as possible in stock for immediate dispatch. However should we not have what you require in the U.K, Wossner's own extensive store of performance pistons from many well known manufacturers ensures the quickest possible service. Along with the vast range of pistons covered in Wossner's catalogue custom designs can also be made please call with your requirements. We are currently looking for distributors feel free to contact us we will send you a catalogue along with trade pricing structure. We don't only supply pistons, unlike are competitors we use these pistons in our own engines so we know what we sell is going to do the job and do the job right. New European drag record achieved by Exelixis motorsport using ZRP connecting rods and crankshaft. BUY WOSSNER FORGED PISTONS CLICK HERE! When accepted as a Wossner distributor you will have access to our dealer area with trade price lists. As part of our ongoing commitment to our distributors we now offer a ON THE SHELF program where subject to conditions we hold extra stock for you on kits which are used regularly so your pistons are only ever 1 day away. 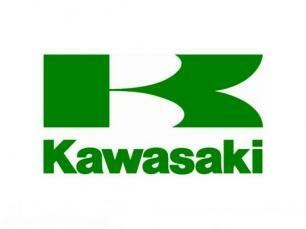 Kawassaki tripple 350 S2 Mach II, 500s,500h1, 500kh,750 mach and 750 h2 wossner forged pistons now in stock click here to view.